Are Your Dollars About to Become Worthless? Washington, D.C. and the world are about to lock horns like never before. It’s honestly about to get very ugly. And if you’re a creditor, it’s never a good sign to see your insolvent borrower making a mess of itself. The SGTreport.com just released a new interview with the founder of our topgold stock suggestion, and it’s a MUST-watch interview. It’s all on video, which is a nice bonus for us. 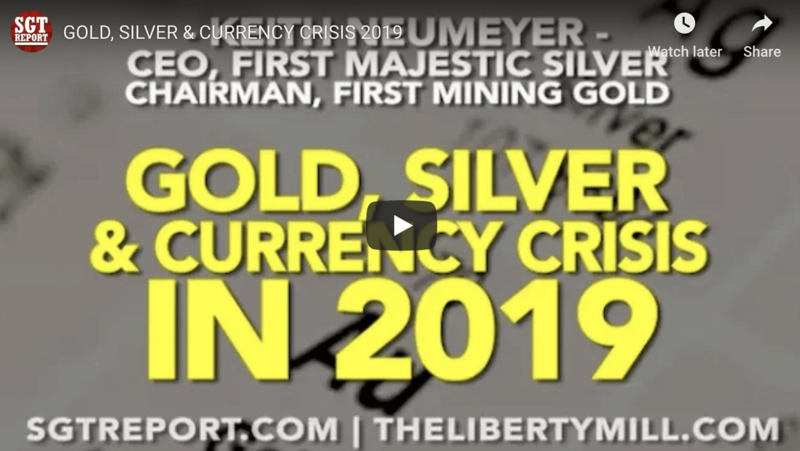 Here is Keith Neumeyer, Founder and Chairman of First Mining Gold, discussing what he sees as a coming currency crisis. Consider taking a strategic position in gold, silver, and First Mining Gold (TSX: FF & US: FFMGF). Editor’s Note: I only own the stock recommendations in this letter.